Learn about exercise and anger management. Exercise can improve your ability to manage anger and develop coping mechanisms for expressing anger and improve your overall health. Most people can associate with feelings of anger. The emotion of anger is characterized by hostility toward a person or challenge coupled by a feeling of inability to immediately cope or manage in a calm and rational manner. Anger suppression isn’t a good thing. Anger actually helps you express yourself and your feels in a defined period of time. Uncontrolled anger can harm you and the people around you, seven if your intentions were not to harm anyone. Unmanaged anger can present a challenge to your health. Your physical, emotional, and mental health can be harmed if you do not channel and manage anger appropriately. This where the expression anger management find a home. Perhaps you’ve seen the movie Anger Management? It’s a funny movie, each of the actors get to experience what it’s like to be on the receiving end of angry outbursts, but the concept that anger can be a good thing — if controlled and vented appropriately is a healthy concept. Have you expressed yourself when angry and felt guilty after? That guilty feeling reminds you that your actions can negatively affect others. Have you been on the receiving end of an angry outburst from a friend, family member, or another person? How did that make you feel? How does anger happen, can exercise help? Anger can be managed in a variety of ways. There are countless outlets for people to both focus and vent ager in more constructive or positive ways. This means that while anger isn’t necessarily a bad thing, it must, however, be managed. One of the most effective anger management tools for most people is exercise. Exercise can help you to channel or manage anger in a healthy way. In fact, in 2007, a study was conducted by Yale University that determined exercise has many health benefits, including antidepressant actions in depressed people, but the process causing these effects had not been made absolutely clear. There are very complex processes by which the brain interprets your environment and chemical signals to produce the emotion of anger. Simplified, the limbic system is located on top of the brain stem beneath the cerebral cortex. There are structures within the limbic system that are thought to have the greatest influence on anger and behavior. The amygdala is the integrative center for emotions, emotional behavior, and motivation. It is thought that stimulation of the amygdala causes intense emotion such as anger. The cingulate gyrus is thought to be involved with sensory input concerning emotions and the regulation of aggressive behavior. The hypothalamus serves in many functions including controlling the molecules that make you feel exhilarated, angry, or unhappy. As I mentioned earlier, exercise is an excellent way to do this. Exercise reduces how you experience anger by burning off excess energy, in the form of calories. A study completed by Exercise and Sport Science Department, University of North Carolina-Greensboro, demonstrated that assessments have presented circumstances of psychoactive chemicals that resembles morphine or other opiates and influenced by exercise and deliberated changes in circulating beta-endorphin levels in response to aerobic and anaerobic exercise. Essentially, exercise at moderate to vigorous intensity has been proven effective in releasing beta-Endorphin, a 31-amino-acid peptide, otherwise referred to as endorphins, that can help improve your mood. Now that you have a clearer picture of how, in part, the brain processes stimuli to signal emotions, including anger, you can develop simple mechanisms to manage what you understand as a combination of both biological and environmental factors to effectively manage anger. This is a simplified characterization of some of the processes and functions of structures in the brain that influence, affect, or control anger or emotion in some way. Our purpose is to provide accurate information that can help you understand some of the why and how so that you can apply this information to benefits of exercise. Really, exercise is quite simple. Depending on your lifestyle, medical conditions or medications prescribed, and physical limitations, most exercise is appropriate for both stress relief and anger management. In terms of the best exercise, that is very much a subjective conversation based on your interests and goals. If you are an apparently healthy person, cleared for exercise by your doctor, physical activity including walking, running, most weight-bearing exercise, and exercise movements and exercise patterns that allow you to improve physical ability and activities of daily living are best. Multi-joint, functional training, strength and conditioning, endurance, and aerobic, heart heath, training — especially light physical contact activities like boxing or sparring, with protective equipment, within specified intensity levels for your age, current physical fitness, VO2 max, physical abilities, and particular interests for at least 30 minutes everyday can help you not only maintain your physical fitness but also serves as a valuable tool for anger management. So, if you’re angry — do something about it, get more information from an exercise professional to establish a sound program, and go exercise! 1. Hunsberger, J., S. Newton, A. Bennett, C. Duman, D. Russell, S. Salton, and R. D. “Antidepressant Actions of the Exercise-regulated Gene VGF.” Nature Medicine. Macmillan Publishers Limited, 2 Dec. 2007. Web. 2 Oct. 2014. 2. Bailey, R. “Limbic System.” About Human Anatomy & Biology. About.com, 19 Sept. 2005. Web. 2 Oct. 2014. 3. Goldfarb, A., and A. Jamurtas. “Beta-endorphin Response to Exercise.” PubMed. National Center for Biotechnology Information, U.S. National Library of Medicine, 24 July 1997. Web. 2 Oct. 2014. Are you interested in exercise and anger management? 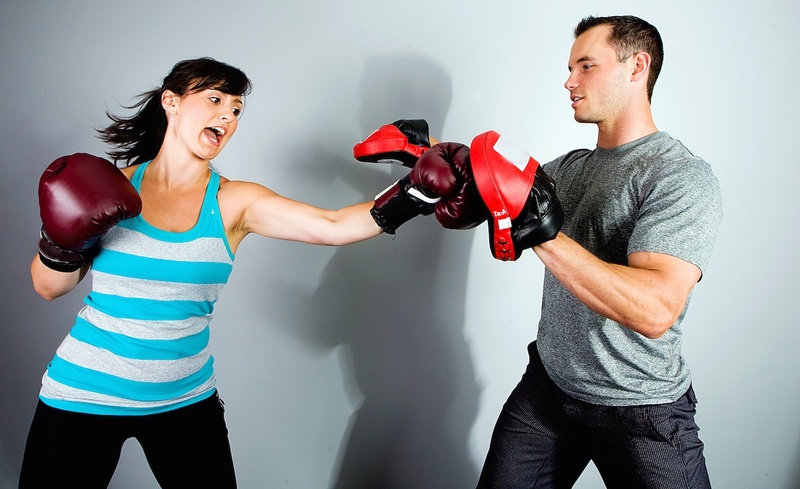 Are you interested in learning about the benefits of exercise for anger management? Consider hiring a personal trainer. If so, please visit our homepage and use the “find an instructor by city” search bar.